An abstract and trippy visual of a spinning Easter Egg with animated lines set against a pink backdrop. A happy visual for your Easter themed sets. Take it to the next level with this amazing video loop, a great motion background ready for you. 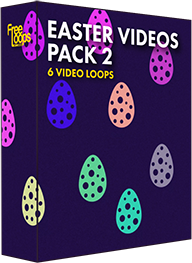 This video loop is part of Easter Videos Pack 2.